With the presence in more than 550 cities in the country and more than 4,000 points of sales, it is currently looking to expand by setting up more retail shops. 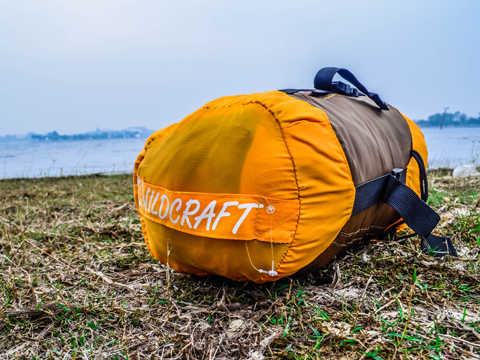 Wildcraft, an Indian sports and adventure outdoor product company based in Bengaluru, is seeing that its clothing and footwear segments are contributing around 25 percent to its overall revenue, which were launched last year. The company said that it has seen higher growth coming from its clothing and footwear business as urban consumers increasingly look to move from sedentary lifestyles to take up outdoor activities. The company is expecting to close the current financial year with sales of Rs 400 crore, as opposed to Rs 300 crore from the past financial year. Gaurav Dublish, Co-founder, Wildcraft, said, "This is a segment where the urban sedentary lifestyle is moving into the active space. This was in the waiting for past 15 years. The lifestyle is changing slowly." Dublish co-founded the company with Dinesh Kaigonahalli and Siddharth Sood. With a market size of about USD 2 billion in India alone and GST, Wildcraft co-founders are quite optimistic about the future. Dublish Also said, "Our competition is mostly from the multinationals." According to Dublish, they prefer planned trips and are organised. Also, they demand products that could be used for multiple purposes. The company, growing at a compounded annual growth rate of 45 percent, saw a growth rate of 30-35 percent this year. Sood said, "Internationally, we have our presence in West Asia, Sri Lanka and Nepal. We are exploring more international markets."